The curse of the Georgetown academic calendar means that while all of our friends are currently posting pictures on their lavish spring breaks, we are back on campus trying to juggle papers, exams, and more. With all the buzz surrounding Georgetown lately and diving back into the spring semester, we all wish that we could be laying on the beach in the Bahamas, visiting Disney World, or partying on rooftops in the city. In an attempt to cope with the post-spring break blues, here are some ways to have fun around DC and escape campus stress. With all countless snow days that hit during *spring* semester, warmer weather is finally upon us. 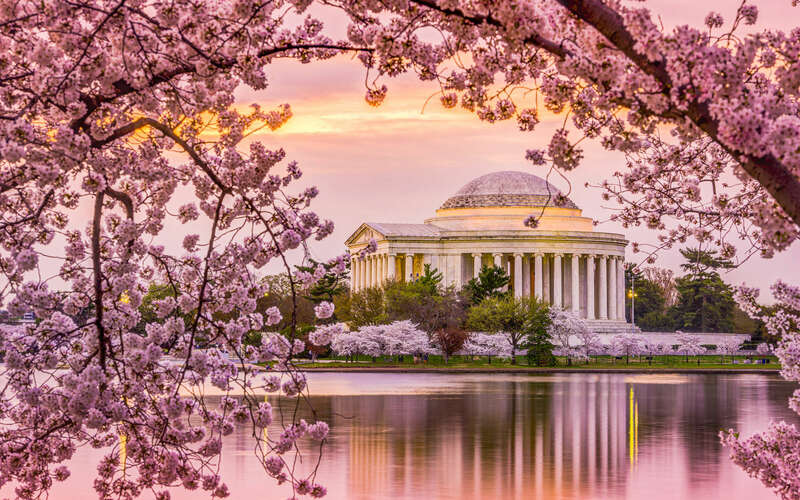 Stroll along tidal basin to enjoy a scenic view of cherry blossoms or visit the National Cherry Blossom Festival starting March 20, 2019 for some fun in the sun and a relaxing afternoon away from Georgetown. Going to school in the midst of a historic city has its advantages. There’s always the classic run to the monuments and visiting the White House. Some other cool places to check out are: Tudor Place, Ogle famous homes, JFK’s walking tour, Blues Alley, and more.